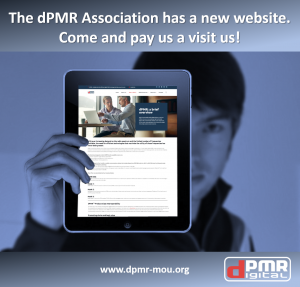 A real pleasure to work with Phil Taylor of Graphic Identity on the dPMR Association website build. What started off as a simple refresh evolved into something so much better! Here’s the social media posting (in the new branded template style) to announce its arrival. 03/01/2018 — Make the most of them, especially those concerned by the rolling discussions on Brexit and the possible impact on their business. Plan for success and make sure you outsmart and outmarket your competitors. Get in touch and let’s explore the opportunities! 21/12/2017 — Best wishes to my clients and friends for an excellent Christmas and a Happy, Healthy and Prosperous 2018! 04/09/2017 — An advertisement to launch the remarkable, feature-rich Kenwood NX-3000 Series, multi-protocol two-way radios and the KAS-20 AVL and Dispatch software suite. Both set to revolutionise the market with future-proof voice and data communications for professional users. And both representing exceptional value in this price sensitive market. 04/09/2017 — A real pleasure to work with Phil Taylor of Graphic Identity on the dPMR Association website build. What started off as a simple refresh evolved into something so much better! Here’s the social media posting (in the new branded template style) to announce its arrival.